As you come to terms with the fact that it will be Case Keenum under center for the Denver Broncos this season, I urge you to take a moment to think about who will be the center for the Denver Broncos this season. For every offensive snap over the past three years, it has been Matt Paradis. A total of 3,303, for those of you with an affinity for the number three. By all accounts, it should be Paradis again in 2018; however, things are different with Paradis this year. Denver’s sixth-round draft pick (No. 207 overall) in 2014, Paradis is no longer the exclusive property of the Denver Broncos. 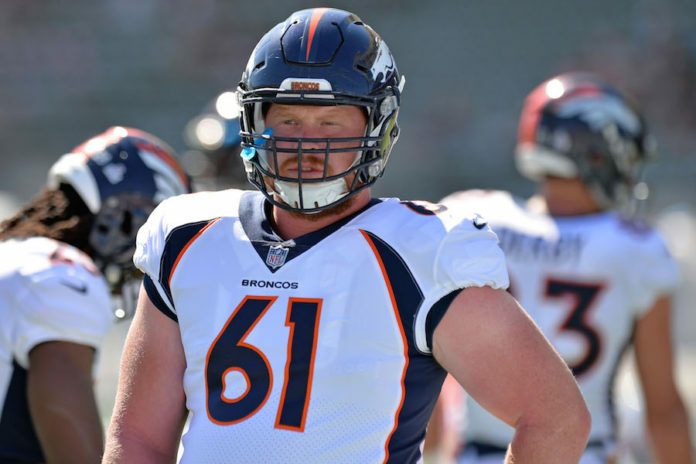 The Broncos on Monday made Paradis a second-round tender as a restricted free agent, with a one-year contract value of $2.914 million based on terms agreed upon by the NFL and the NFLPA in the last collective bargaining agreement. Make no mistake; Paradis is worth more than that and other NFL teams should jump at the chance to make him an offer the Broncos would have to match — even if it means that other team would give up a second-round pick this year if Denver does not match. For the first time since he was crowned a Super Bowl 50 champion, Paradis will see exactly what he’s worth. The other 31 teams missed their window to grab the Boise State product when the Broncos (of Denver) signed him off their practice squad to a future/reserve contract in January 2015. One year later, Paradis was in the thick of becoming a Super Bowl 50 champion and the only player on Denver’s roster that season to play every single snap. Paradis operated for the two years that followed on an exclusive rights free agent contract, which basically required him to play for the league minimum or sit out for a year. Paradis never missed a snap over those two seasons, either, despite requiring offseason surgery on both hips between the 2016 and 2017 seasons. Now, as a restricted free agent, Paradis can start fielding calls from other clubs who could use a durable, intelligent center that grades well as both a run and pass blocker. According to Pro Football Focus, Paradis was one of just two centers in the NFL in 2017 that did not allow a sack on at least 555 pass-blocking snaps. The other was Travis Frederick of the Cowboys, who in 2018 will cost Dallas $13.235 million in cap space and $10 million in cash according to Over The Cap — the highest-priced center in the game. Frederick earned a PFF grade of 90.8 in 2017, No. 2 among all centers. Paradis graded out at 75.2, No. 8 in their rankings. Based his cap value under the second-round tender made Monday, Paradis would be the 17th-highest-paid center in the league this season. He would be tied for 15th in true cash this year. Even if the Broncos had made Paradis a first-round tender, valued at $4.149 million for 2018, he would still rank 15th in true cash and 16th in cap value. Paradis is no longer flying under the radar as he was in 2015, however. SB Nation, in their annual post explaining the ins and outs of restricted free agency, used a picture of Paradis as the featured image. There were more than 80 players scheduled to become RFAs this offseason, and Paradis was one of four SB Nation listed as “noteworthy.” (Broncos OLB Shaq Barrett was another.) If Paradis is on SB Nation’s radar, you can bet he’s on the radar of savvy NFL GMs, and his second-round tender surely ought to make one of them throw out an offer that the Broncos would have to match. 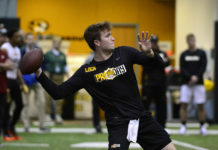 If nothing else, it would force the Broncos to stretch their pocketbook even more than a top free-agent QB already will. Denver had to do the RFA pocketbook pry two years ago when they made a low-round tender on running back C.J. Anderson, only to have the Miami Dolphins make him a four-year, $18-million offer. Denver ultimately matched the deal (which really had only two years and $7.6 million guaranteed), but the low-round tender made it easy for Miami to ratchet up the price for the running back. Had Denver used a second-round tender on Anderson, it was unlikely that Miami would have made their offer and the back would have cost the Broncos just $2.5 million that year. 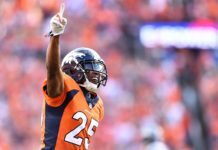 Now, the Broncos are reportedly trying to trade Anderson and may have to outright release him to get out of paying the remaining $9 million still left on his deal. John Elway appears to have learned his lesson by putting a second-round tender on Paradis, who unlike Anderson does not have a Pro Bowl nomination to his credit. But Paradis and Anderson are quite different situations, and that Pro Bowl to Anderson’s credit shouldn’t overshadow Paradis’ contributions or value over the past three seasons. Paradis has been the one constant positive on a unit that over the past three years was widely regarded as the Broncos’ “weakest link” (until the 2017 quarterbacking corps redefined that standard). Where Anderson has battled fitness and injury issues that caused him to miss significant time, Paradis has been the model of consistency and reliability. Wise NFL GMs will see that about Paradis and ought to give serious thought to making him a multi-year offer north of $5 million per. Jason Kelce, for reference, in 2014 signed a six-year, $37.5 million contract with the Philadelphia Eagles, including a $6 million signing bonus, $13 million guaranteed and an average annual salary of $6.25 million, according to Spotrac. Kelce was also a sixth-round pick (2011) and now shares one more thing in common with Paradis — a Super Bowl ring. Yes, the hip surgeries raise concerns with Paradis, but a career-high 1,127 offensive snaps played in 2017 ought to assuage those somewhat. Would John Elway be willing to match an offer of Kelce’s scale for Paradis? (Paradis has until April 20 to entertain offer sheets. The Broncos would have five days to match any offer sheet Paradis accepts.) A second-round pick would be a tempting return for opting not to. But losing the only reliable piece on the offensive line over the past three seasons would be a dangerous gamble. And it would be made even worse if letting Paradis walk puts a new, high-cost, free-agent quarterback at increased risk with a less-capable alternative at center. Centers are often overlooked because of who they are snapping the ball to, but their value shouldn’t be understated. 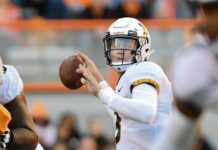 While Broncos Country is rightfully consumed with who will be under center this season, it’s important to keep that center in mind, too. Because at this point there’s no guarantee it will be Matt Paradis in 2018.